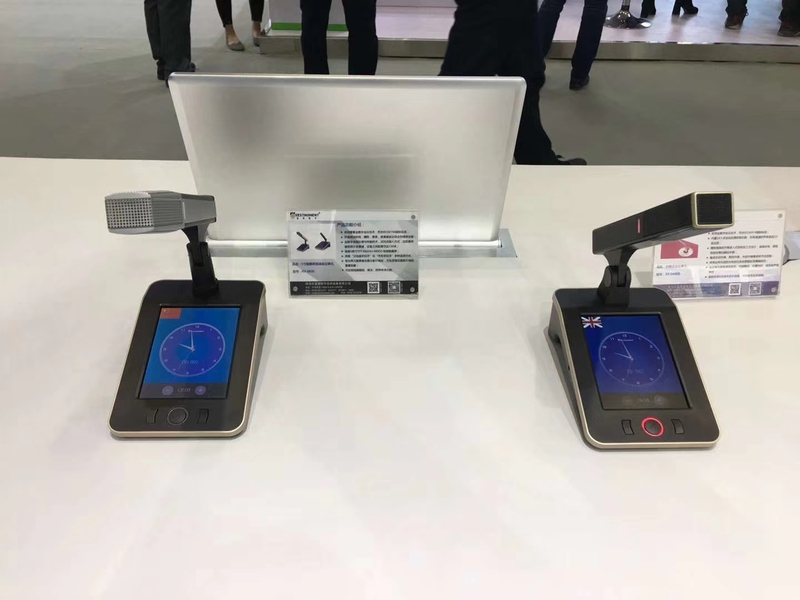 Restmoment,Restmoment takes you into the 2018 InFoComm China-Restmoment Digital Audio Device Co., Ltd. 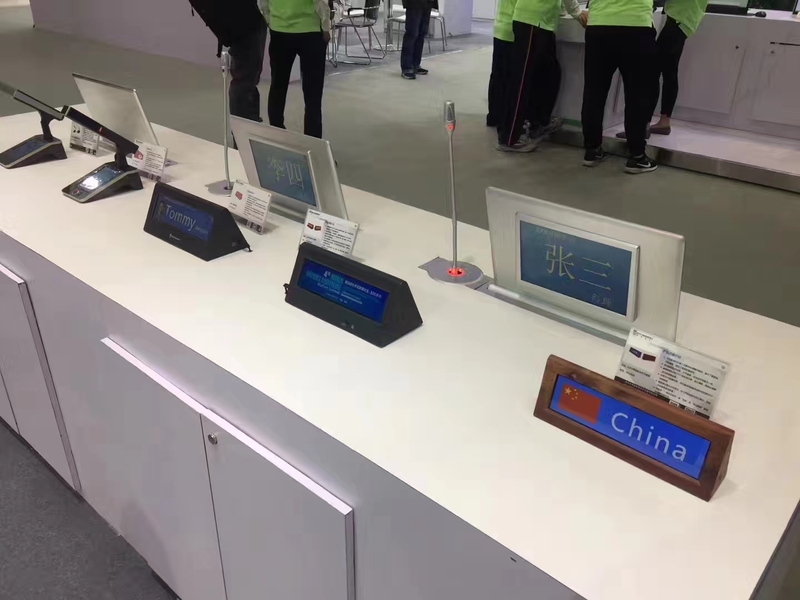 The annual InFoComm China has already begun at the Beijing National Convention Center in the capital. 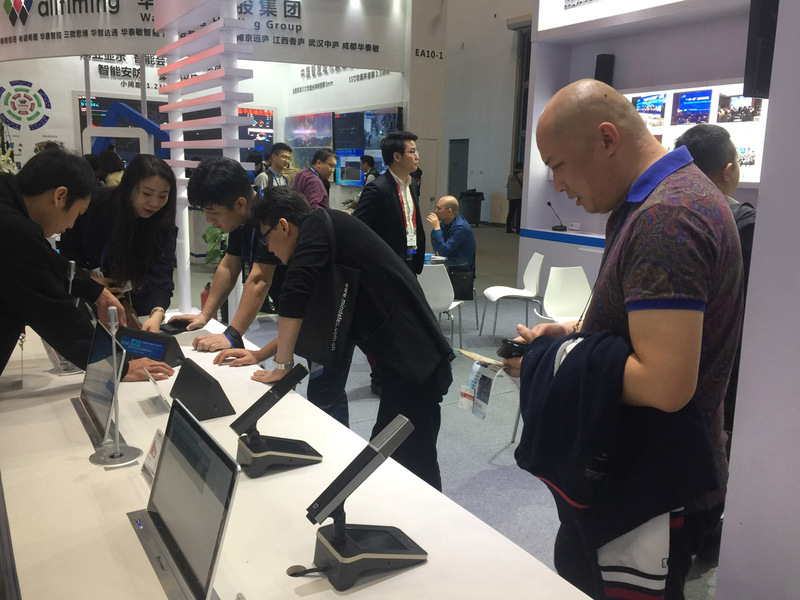 For more than a decade, InfoComm China has been dedicated to improving the professionalism and popularity of China's professional audiovisual and interactive experiential communication technology markets. 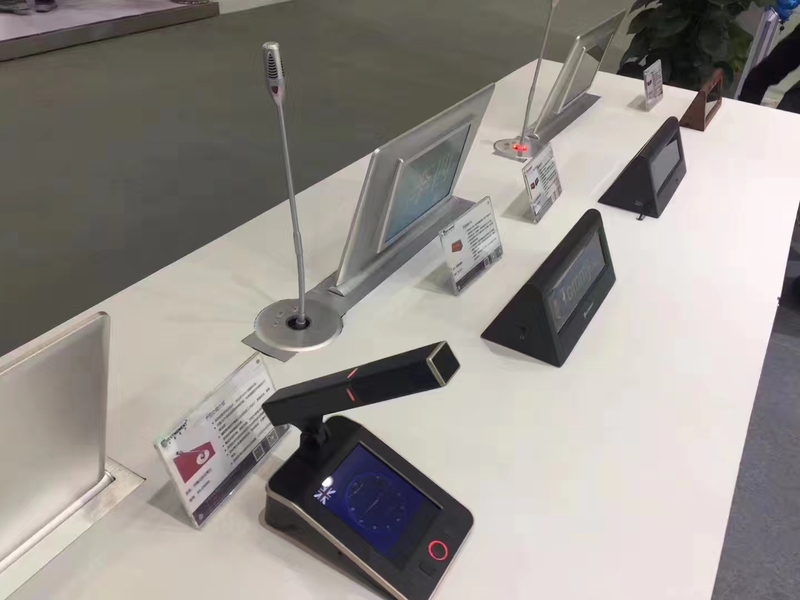 Today, the exhibition has become the preferred and most important platform for professional video and audio communication and interactive experiential communication technology in the Asia-Pacific region for merchants, manufacturers and end users from all vertical industries. April 11-13, 2018 Restmoment Electronics is waiting for you at the Beijing International Convention Center booth EB9-01! 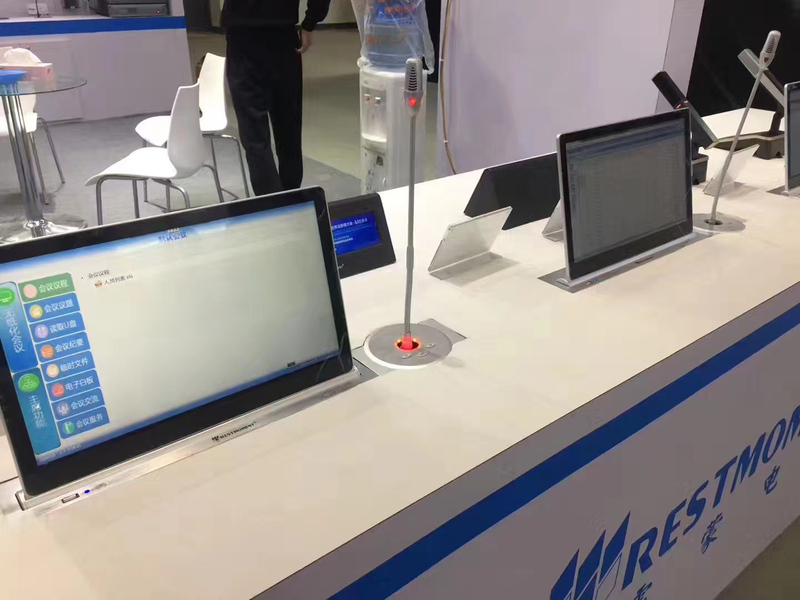 In this exhibition, Restmoment Electronics exhibited a paperless conference system, lifting conference unit RX-6800, 5-inch touch screen high-end conference unit RX-6830, 8.8 inch single-sided electronic table card RX-6623/01, 8.8 inch double-sided electronic Table card RX-6623/02, 8.8 inch single-sided solid wood electronic table card RX-6622, paper table card meeting unit RX-6613 and RX-6612, cable desk type conference unit RX-6640, translation table RX-E9208 and so on new The product debuts at the exhibition. The exhibition has already arrived the next day. 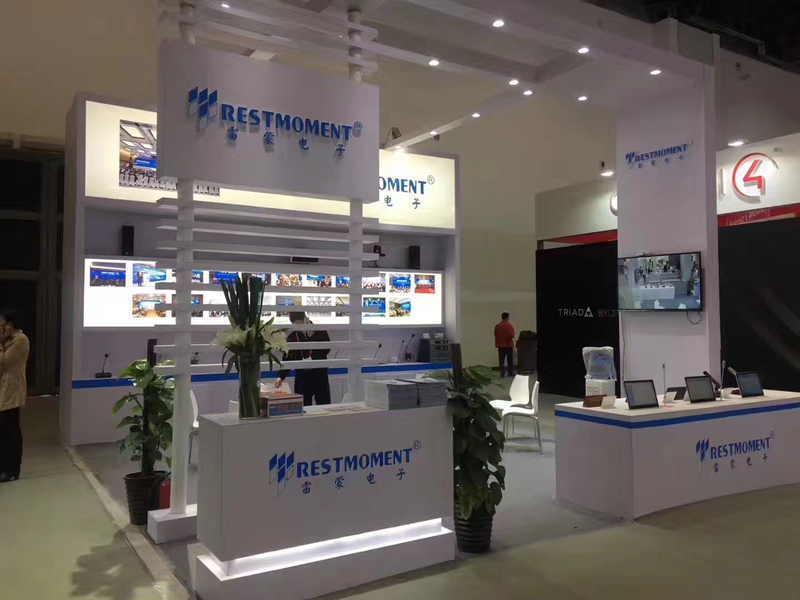 Beijing also brings a hint of coolness, but Restmoment Electronics’ booth is still crowded with people. Paperless conference systems, elevating conference systems, and electronic table and card systems are particularly noticeable. 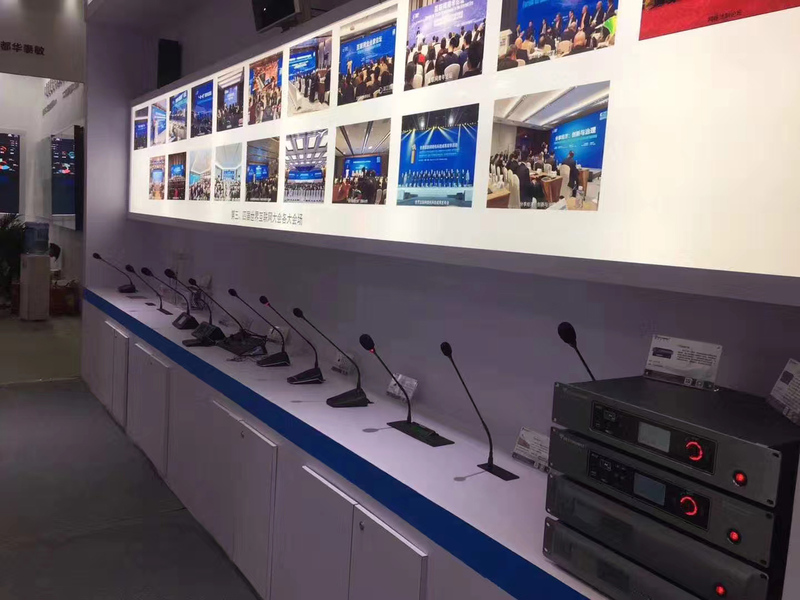 Restmoment Electronics RX-6800 Embedded Lift Conference System is a high-end system that integrates discussion, video tracking, original and elevating and other functions developed by the Modern Advanced Conference, using Restmoment's original digital conference technology. With the IEC60914 international standard, all channel sounds are close to CD quality. 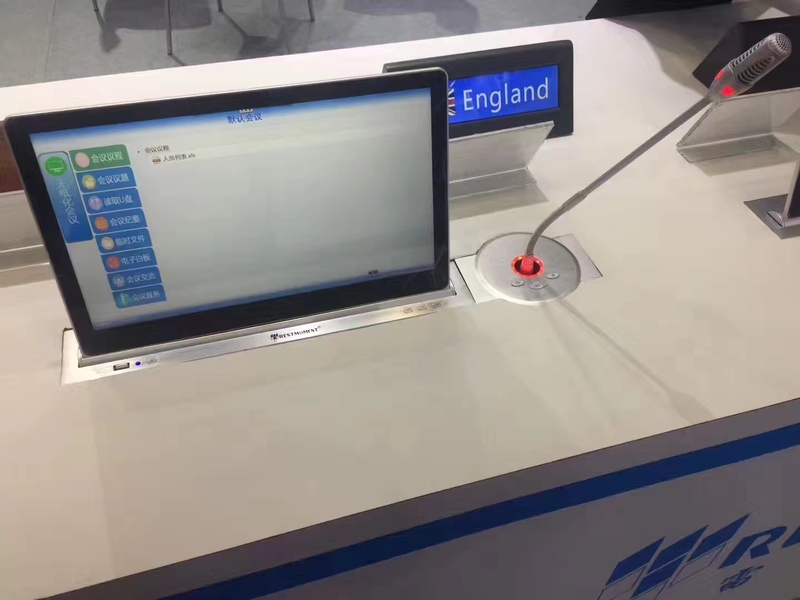 The table card conference system is simple, stylish, exquisite, noble, high fidelity sound quality is the ideal equipment for high-end conference occasions; products meet the IEC60914 international standards, GBT15381-94 national standards, passed ISO9001: 2000, ROHs, CE, FCC, CCC certification. 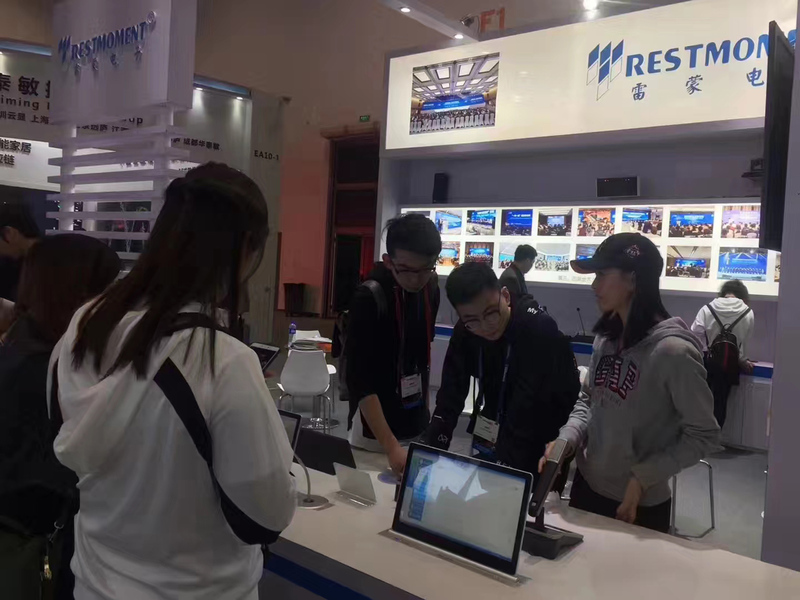 Restmoment's professional team with a full smile and vitality, to the guests from afar to patiently explain our products, and for them one by one. 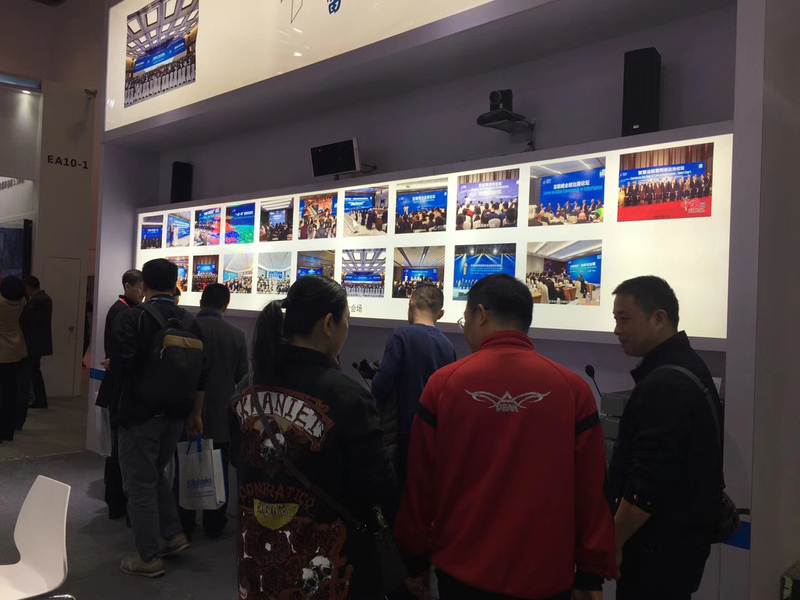 2018 InfoComm China is so grand, everyone come and see it, Restmoment Electronics is waiting for you at the Beijing International Convention Center booth EB9-01!